Building a website has become more important than ever for working professionals, entrepreneurs, and owners of growing companies. Without a website, you miss out on potential opportunities to attract new clients and customers while allowing your competition to take the lead. At Oregon Web Solutions | Bend Oregon, we not only provide captivating website designs, but we also focus on building brand awareness and crafting effective marketing campaigns for your business online. Developing a professional layout and design for your website is essential whether you are providing content for your users or selling products and services. You only have one opportunity to make a positive first impression on users who have a genuine interest in learning more about your business or brand. With the rise of social media platforms and users being exposed to hundreds, if not thousands of ads and websites each day, implementing an eye-catching, yet professional website design is a must. We know that your website is your 24/7 salesperson and that it is one of the most important aspects of building a business in today's market. We work with you from the ground-up to create a highly customized solution that meets your needs and the needs of your intended audience. We begin creating designs for websites based on the products, services, or content you plan to share. Choosing the right layout design, graphics, and overall aesthetics matters to us. Whether you are seeking a simple one-page website to generate leads from or if you are interested in a complex website with plenty of content, OWS can help you achieve your online goals. When users visit your website, we make sure they have a clearly defined navigation route in place. Proper navigation is one of the most important elements to consider when developing a new design for any type of website, whether it is for personal or business use. Without proper navigation, your website's bounce rate (or the percentage of users who leave upon visiting your homepage/landing page) is likely to skyrocket. If a user is unable to navigate a website with ease using various browsers and portable devices, they are less likely to return in the future. We know how important it is to make a lasting first impression when users and prospective customers visit your site for the first time. Our web design and development team works to incorporate your preferred color scheme or logo colors on each page we create, streamlining your website's layout to reflect your brand and its overall aesthetic. Let us help with selecting a color scheme that is a perfect representation of your brand and business. Users no longer just browse the internet with classic search engines like Google Chrome, Internet Explorer, and Mozilla Firefox. Today, the majority of website traffic comes from people using their smartphones and tablet devices. A website that optimized for mobile devices and is not mobile responsive will miss out on the majority of visitors and hurt their Google rankings. At OWS, we create each site with mobile-friendly and responsive design in mind. We make sure every website loads quickly and passes Googles mobile friendly test without any issue before going live. Our in house developers use only the fastest tools to guarantee that your website loads fast and is fully optimized to increase rankings. The images we use are also guaranteed to be optimized so they load quickly whether they are browsing on a desktop, computer, phone , or tablet. All the images, animations, and graphics we use with fast and responsive design in mind. When you get a new visitor, your website's layout and design will shift to accommodate the device they are using. In addition to traditional styles, we also focus on providing professional and robust websites using CMS solutions such as WordPress. Using a CMS (Content Management System) helps with managing and adding content, even if you are unfamiliar with the programming aspect of building it yourself. Using WordPress while developing your website allows for maximum creative and programming flexibility. WordPress not only provides flexibility when designing layouts, but also when implementing plugins for SEO (search engine optimization), portfolios, increased security, and even social networking. In addition to standard plugins, WordPress also offers eCommerce plugins such as WooCommerce to help get your online store up and running in less time. Our developers use only the best high-quality plugins that allow you to create anything you can think of. SEO, also known as search engine optimization, is an extremely important element to keep in when you are developing a new site with local search in mind. Our developers are true professionals by industry standards. It is a top priority for us to creating websites that are properly optimized for Google and other search engines. Our team works endlessly to create each page from scratch, allowing us to implement appropriate keywords, phrases, and metadata before we publish your site. Focusing on SEO as we build is the best way to boost your rankings locally in any market or industry you operate in. With a properly optimized website, you are able to reach your target audience in less time while outperforming your competition in the search engine results. 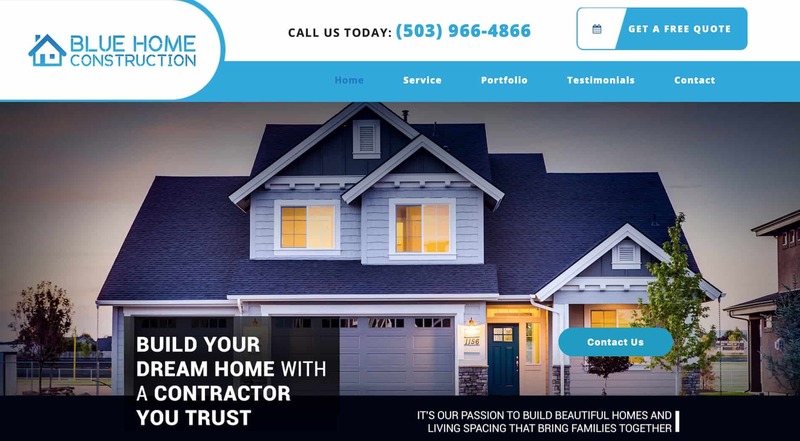 If you own a local business in central Oregon and need help with creating a responsive website, give us a call to figure out a design cost and time line: (541)555-5555. Designing websites is our passion and having a great online presence can make a world of difference for business owners. Anything else you feel like sharing. Web Design Bend Oregon - Oregon Web Solutions	Overall rating:	5	out of 5 based on 48	reviews.